Florida Boating Accident Injury Lawyer/North Florida's First Board Certified Admiralty and Maritime Attorney Representing private individuals and their families nationwide and throughout the world in their claims for wrongful death, brain injuries, back injuries, career-ending injuries, or other serious injuries. Representing private individuals and their families nationwide and throughout the world in their claims for wrongful death, brain injuries, back injuries, career-ending injuries, or other serious injuries. At the Florida law firm of John W. Merting, P.A. , Attorney at Law, we represent the interests of private individuals and their families nationwide and throughout the world in their claims for wrongful death, brain injuries, career-ending injuries, or other serious injuries. Many of these cases or claims are maritime in nature, while others cover a full range of plaintiff's cases. 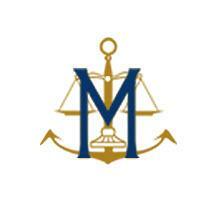 John Merting is the first Board Certified Admiralty and Maritime attorney in the entire Florida Panhandle, and he has been consulted and retained in maritime matters by various attorneys and individuals over the years. Mr. Merting has litigated claims of seamen injured in the Gulf of Alaska, the Singapore Straits, off the Coast of Africa, throughout the Gulf of Mexico as well as on the Mississippi River, and other rivers and inland waters of the U.S., including the Inter-Coastal Waterway. Our firm also has over four decades of experience representing the victims of other types of serious personal injuries, including claims related to wrongful death and work-related accidents. While Florida is a prime tourist destination, some visitors have the unfortunate experience of being in an accident while visiting our state. In addition to determining the party whose negligence was responsible for causing the accident, representation of such visitors requires close coordination of insurance laws between different states and even foreign countries. Our firm has significant experience with coordinating these laws and helping out-of-state and foreign visitors recover for the injuries they sustained in Florida . Due to Mr. Merting's recognized expertise in Admiralty and Maritime matters, as well as his decades of experience in all complex personal injury cases, our firm frequently receives referrals from other attorneys, including both local as well as out-of-state counsel. Mr. Merting, through his more than 40 years of professional experience and his active memberships in numerous professional organizations, has developed an extensive network of attorneys at prominent firms nationwide and overseas who are available as co-counsel to assist in the prosecution of claims, if warranted. Mr. Merting headed the annual Maritime seminar hosted by the Southeastern Admiralty Law Institute, and is only the second plaintiff's attorney to be elected Chairman of this professional organization of some 650 maritime lawyers and other maritime industry representatives in its 40+ year history. Representing private individuals and their families nationwide and throughout the world in their claims for wrongful death, catastrpophic, career ending, or other serious injuries. Our Pensacola area law firm serves mariners throughout the Gulf Coast in Florida, Alabama, Louisiana, Texas, and up the Mississippi River. Proctor in Admiralty - Maritime Law Association of the U.S.